The Mavis Future Faculty Fellows (MF3) Academy in the College of Engineering was developed to facilitate the training of the next generation of great engineering professors. 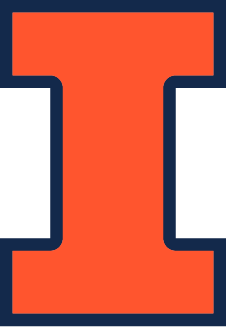 Engineering at Illinois is internationally recognized for the impact of our research and the strength of our graduate education. The doctoral programs that produce this reputation are primarily research-focused and may not provide students interested in academic careers with the opportunity to gain the knowledge of how to become a highly productive faculty member. To help address this issue, the Office of Engineering Graduate, Professional and Online Programs facilitates the MF3 Academy where fellows participate in a series of workshops, seminars, and activities that cover various aspects of an academic career. Workshop themes include describing life as a faculty member, writing cover letters and CVs, preparing for campus interviews, and defining and achieving success as a faculty member. These workshops are available to all engineering graduate students. The three main components to the MF3 Academy are research, teaching and mentoring. All fellows will become proficient in these core areas through various activities and events. The activities in each area will be designed to enhance the graduate students’ experiences in their departments. In addition, the fellows will complete a capstone experience that will enhance their professional development in a self-directed area. Professional development activities include dedicated workshops on communicating engineering research through writing and presentations as well as writing proposals. The Academy for Excellence in Engineering Education (AE3) and the Graduate College Career and Professional Development Office both offer workshops and discussion forums in which fellows will participate. MF3 Fellows who are participating in the year of their final defense have the option of requesting a mock faculty interview. All MF3 Fellows will have a significant teaching experience, typically a teaching assistantship obtained inside the student’s department or in the College of Engineering. Several departments in the College of Engineering award teaching fellowships that encourage advanced graduate students to be the primary instructor of an engineering course. When appropriate, fellows may be guest lecturers at other institutions. MF3 Fellows are required to mentor a less experienced graduate or undergraduate student and advise them on a research project. This experience occur either during the fall or spring semester.